The single best way to attract traffic to your page is to get ranked highly on search engines like Google. Most sites receive the majority of their web traffic from Google and since owners of effective services would concentrate on what is working, they focus a lot of attention on improving their SEO for Google. Google+ is a great way for people to assess the web, which will make it a very powerful tool for people to see which sites people trust. Tie that together with the biggest search engine on the planet and you can see the huge potential for Google Plus online. When you post something on Google Plus, such as a link to one of your articles, you are much more likely to get some sort of interaction from people. Google Plus has made it really easy for people to interact with one another. This may result in an individual being referred to your blog, leaving a blog comment or simply giving it +1. The best thing about Google+ is its “Circles” feature. This allows you to add people within separate sections. So you can keep all of your “friends” in one circle, all of your “family” in another, all your “work colleagues” in another, etc. Keeping all your contacts neat and tidy. If someone happens to fall within a number of categories, perhaps you are close friends with some of the people you work with, then you would simply add them to both circles. Whenever you share something on Google+, you have the option of sharing it with the people in certain circles or just everyone. This is extremely useful if you want to talk about work issues with only your work colleagues, or a night out with only your friends. On Facebook this would not be possible because you can’t organize your contacts up like this. Any embarrassing photos of a drunken night out with friends are clearly seen by your professional contacts (We've all been there!). You can create as many “circles” as you want to organize your contacts up to share things with them. This means that you can communicate with everyone with the use of one profile. 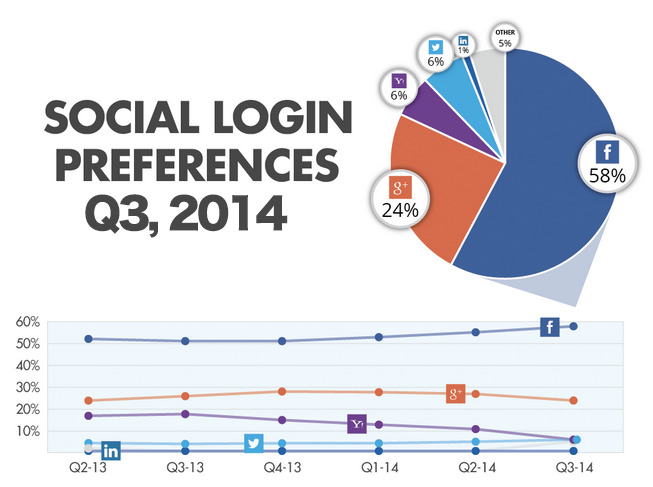 No more separate “Facebook Pages” to communicate with people that like your site. Just make a circle for everyone that likes your site and communicate and share things with them through that. First, let’s start with ways you can build your mailing list using Google+ and increase your earnings by growing your subscriber base. Add target subscribers who are following your profile and page to specific circles. When you share your latest lead magnets in a status update, share that update with the public and those specific circles. Updates shared to the public are visible to everyone; updates shared to specific circles will send a notification to people in those circles about your update. This should drive more engagement to your update and click-thrus to your squeeze page. Include links to your lead magnets in the introduction section of your profile and page’s “About” tab. This area is much more effective in getting click-thrus to your squeeze pages because it is above the standard links section of your profile and page. Create a public/open Google+ community that matches the interests of your target subscribers. Include links to your latest lead magnets in the links below the “About this community” section of your community profile. This will put the link(s) in a section that is always displayed at the top right of the community page. This will give people visiting and engaging in your community the chance to click through to your squeeze page. Create a cover photo for your profile and/or page that highlights your latest lead magnet and encourages visitors to click on it. Be sure that your cover photo’s description includes a link to your lead page. If your lead magnet is an e-book, whitepaper, or other piece of content, claim it under your Google+ authorship by adding a link to your squeeze page under the Contributor To section of your profile’s links and add a link to your Google+ profile on your squeeze page with the rel=author tag. Create images with good quotes, statistics, and other snippets to share on your profile. Include a link to your squeeze page in both the status update (early so that it shows without the visitor having to click read more) and in the image description so people can click through to your squeeze page when they click on the photo. Does your lead magnet include other people, such as businesses you might have used as examples or people who might have contributed to the information? Tag them in status updates when you share the lead magnet linked to your squeeze page. Hopefully, those businesses and people will re-share your status, sending your squeeze page link to their followers. Run Google+ hangouts for subscribers only. Encourage people to sign up to your mailing list to “register” for your hangout. Do you sell digital or physical products? Here are some ways to sell them on Google+. Add target customers who are following your profile and page to specific circles. When you share updates about your newest products and specials, share the updates to the public and to those specific circles. 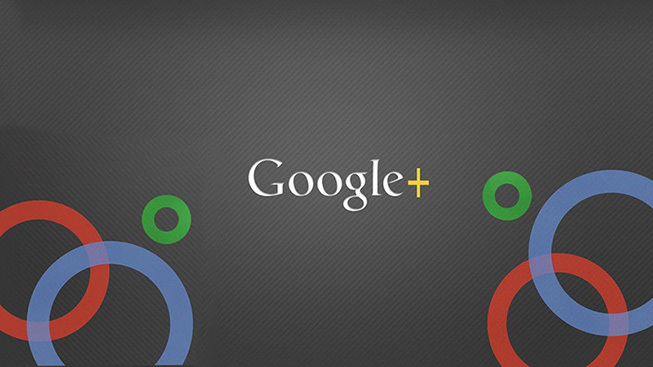 Create a page specifically for your product on Google+ under the Product or Brand category. Use your page throughout Google+ by commenting on public status updates by people and pages in your niche and interacting in groups where your target customers hang out. Make sure your page has links to your product’s landing page in the cover photo description, profile photo description, introduction paragraph, most recent status update, and links section. Add a link to your product’s landing page to your profile and/or page’s introduction section on the “About” tab as well as in the links section below. Create a cover photo for your profile and/or page that highlights the best features of your product. Add a link to your product’s landing page in the cover photo description. Use Google+ hangouts to host webinars to get more people into your product’s sales funnel. Encourage people to register for the Google+ hangout by having them sign up to your mailing list, which will ideally have an autoresponder series set up to turn subscribers into customers. Create a Google+ community that will attract your target customers and include a link to your product’s landing page in the links section below the “About this community” section of your community page. If you created a page for your product, create the group using your product page and interact in the group with the product page for increased exposure. Target local customers by adding a link to your product’s landing page to your Google+ local business page’s description in the business information. Are you a designer, writer, consultant, or other service provider? Market your services on Google+ using these tips. Do you offer services to a local area? Create a Google+ local business page so that you can come up in Google local search. Be sure to add your verified website link to your page, in your business’s description, in your page’s latest status update, and in your cover photo description. Create a portfolio album on your profile and/or page and update it often with your latest work. Make sure each photo links to your website and specifically to the landing page for that service or to your portfolio so people can view more of your work. Add target customers who are following your profile and page to specific circles. Whenever you share a new portfolio item, share it publicly as well as with your target customer circles so they will be notified. Create a cover photo that includes a collage of your best portfolio items. Add a link to your cover photo description back to your website’s services page or portfolio. Tag your customers when possible in your portfolio photos. If they are satisfied with your work, they may share your photo with their audience, which could equate a word of mouth referral. Create a Google+ community that will attract your target customers. Include a link to relevant service landing pages on your website to the links below the “About this community” section. Host educational Google+ hangouts for your target customers. Encourage people to sign up for your hangouts and get notifications about new ones using your mailing list. If your services include content creation, combine your efforts to claim Google+ authorship on your content with creating a portfolio on your Google+ profile in the Contributor to section. Also, include a link to your Google+ profile in any piece of content you write so you can build up your author rank, adding additional value to your writing services. Boost your chances of landing on the bestseller list with these tips on Google+. Create a cover image that promotes your book for your profile and/or page. Include a link to your book’s landing page or Amazon sales page in the cover photo description. Create a Google+ page for your book. Use this page to create a relevant Google+ community that will attract your target readers and participate in the group with your page. Include a link to your book in your profile and/or page’s introduction section on the “About” tab as well as in the links section. Share quotes from your book in photo status updates. Include a link to your book’s landing page or Amazon sales page in the status update and in the photo description. Also, if your book has a unique, one word title, turn that title into a hashtag for extra visibility. Add target customers who are following your profile and page to specific circles. Whenever you post updates about your book, share those updates publicly and with your target customer circles. Host Google+ hangouts that discuss certain points in the book. Encourage people to sign up for the hangout and get updates for future hangouts via your mailing list, preferably with an autoresponder series that will get subscribers to buy your book. Google+ doesn’t have any rules (that we could find at least) that prohibits promoting affiliate products on their network (besides the standard FTC rule to disclose any affiliate links you share). Here are some ways to use Google+ to get more exposure for your affiliate marketing content. Claim Google+ authorship for the sites you write affiliate product reviews upon. This way, your reviews will have more authority and gain more attention in search results because they have your name and photo next to them. Add people most likely to buy the affiliate products you are promoting to specific circles. Whenever you share your review posts in a status update, share those updates publicly and with your target buyer circles. Add your best affiliate product review links to the links section of your Google+ profile. If you’re offering your own bonuses for affiliate products you are promoting, share images of those bonuses in status updates that link to your review post. If your goal is to get hired online, make sure your Google+ is prepared for viewing by potential employers. Use the introduction section of your “About” tab as a summary to impress potential employers who may visit your profile. Include links to your portfolio website and LinkedIn profile so that they can learn more about why they should hire you. Add keywords that employers would search to find you in your Google+ profile, especially in your profile’s headline, introduction, occupation, job titles, and skills to help optimize your profile for internal search. Keep your updates professional at all times, especially since Google+ profiles tend to rank in the first page of search results when potential employers search for your name. Turn your profile into a mini-resume by adding your employment history to your “About” tab. Add your most recent / important job experiences with titles, dates, and descriptions that include the main achievements you made. Add your most important skills to the skills section so potential employers know your specialties. Transform your tagline into an announcement that you are seeking employment. Engage with the companies you want to work for by commenting on their page updates and interacting with people in their communities. Find personal profiles for hiring managers and company owners to really familiarize yourself with the key people in an organization. 1. Are You Using Google Plus For Your Blog Yet? December 19, 2014. 2. How to Make Money with Google Plus: 40 Proven Tips December 19, 2014.